Two black cars pulled up side by side at the Buc-ee’s. A deal was going down and cash was being paid but this wasn’t the kind of deal you might be thinking of. It was the kind of deal true love is made of. I had been scoping out shelters and emailing breeders both. Then I stumbled upon a listing on Craigslist. 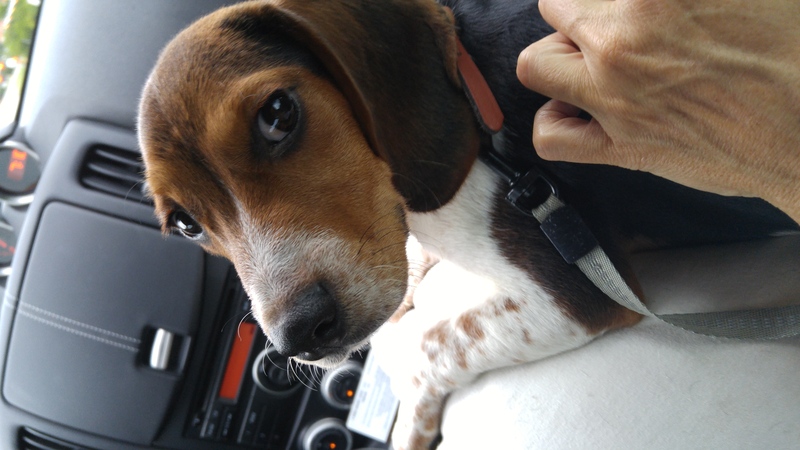 After days of obsessing, questioning, and pondering, a five month old beagle from San Antonio was on her way to a new home in Austin, Texas, with me. On my drive down south thoughts of doubt played ping pong in my mind. I wondered, was I really ready after losing the love of my life (read my post about that here)? Would this new puppy be happy with me? Would I live up to her needs? Was I ready for this kind of commitment again? I continued on down the road. My heart was all in. 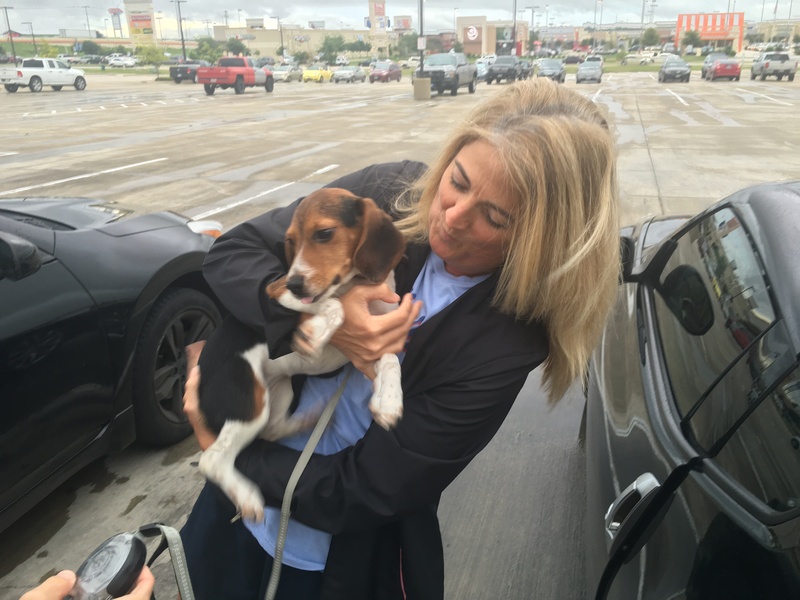 As I pulled in the area where this beagle and I were to meet, I realized I needed puppy food. Low and behold there was a Petco. So I agonized over the best puppy kibble made. Then I figured we needed a teddy bear for the drive home. I took a puppy Kong too. As I watched my goods roll on by on the conveyor belt before reaching the cashier, big butterflies rumbled in my stomach. My phone rang and her owner said they were waiting in the parking lot. I pulled up and saw her little face through the darkened window. Her owner walked around the car and put her in my arms. She kissed me and the rest was history. She’s fearless, curious, and full of energy. She’s sweet, loving, and oh so affectionate. I can’t wait to grow and learn from her. Our first meeting was intense. I had just eaten a turkey sandwich so I think that’s why I was lucky enough to receive unlimited Scout kisses. Please excuse the roots. Her velvet ears are as big as her head! 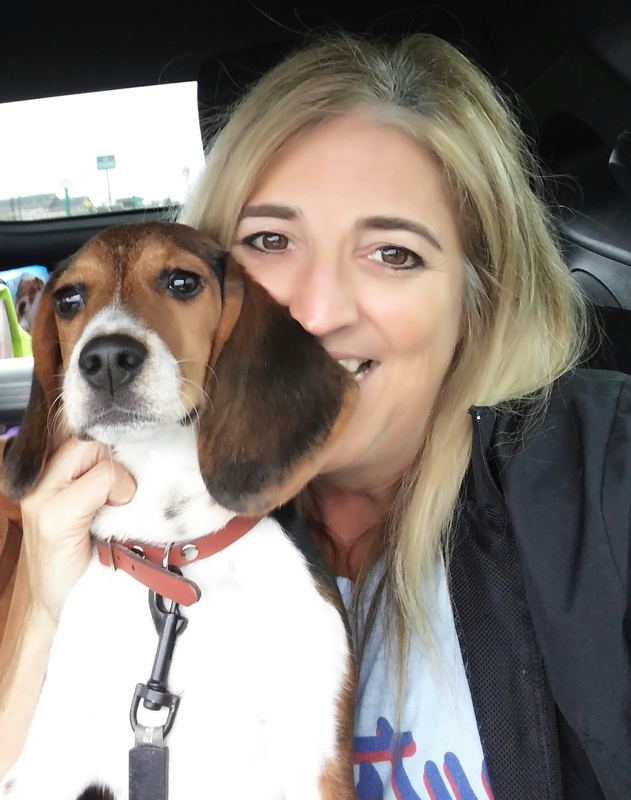 Scout on the road to her new home in Austin, Texas, with Mom. Her colors are so bold, so perfect. We’re on our way Scout! So glad you’re in my life. That face! What an exciting weekend. There are a bunch of Beagles at the dog park I go to and their curiosity always makes me laugh. Oh my gosh! She is adorable!!!! Beagles are one of my favorite kinds of dogs. I’m super jealous of all those puppy kisses too. 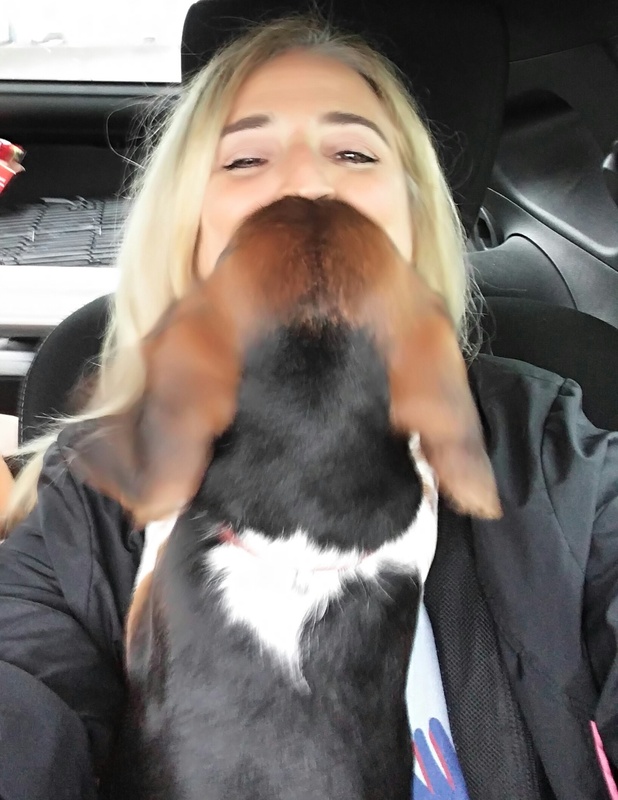 Puppy kisses are the best! So glad you stopped by! Aww congratulations! She is absolutely beautiful and has the sweetest face! I just know that you will be the best puppy mom ever. Thank you Courtney! She brings so much joy everyday! Congrats on your new puppy! She looks so cute and charming, love her big ears! I remember when I was on the way to meet my dog for the first time — such an exciting time! Wishing you much joy and happiness. Thank you Kathryn! We’re having fun!